FileBrowse is a beautiful, well-made media browser program, though how useful you find it will likely depend on what files you’re perusing. It can’t beat the Finder for everyday use, but it’s ideal for users with extensive photo or video collections. 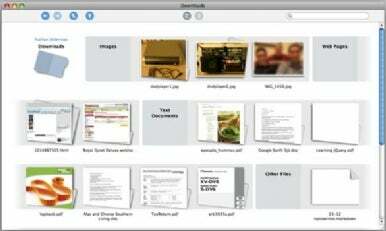 Play videos, view photos, or read documents smoothly and instantly within FileBrowse’s interface. FileBrowse presents your data in rows of icons, generating live previews of folders’ contents as tiny photos and documents atop their icons. Music, movies, photos, and many document types preview smoothly and swiftly when selected. Among other nifty eye-candy touches, moving out of a folder makes its icon swing like a vacated rocking chair. Note that FileBrowse currently can’t move, copy, or delete files, though its creator says he’s working to incorporate those features in future versions. FileBrowse’s most impressive feature is its sorting ability. Its amazing array of filters can sift photos by the cameras that took them, videos and images by their compression type, or songs by artist, album, and/or track, among other categories. Users with huge media libraries will doubtlessly find this handy. Nifty live previews of your files can’t quite compensate for FileBrowse’s overwhelming everything-at-once way of displaying files. Unfortunately, counterintuitive design choices hinder FileBrowse’s usability. Files and folders display side by side, spreading everything out before you instead of preserving hierarchical structure. It may be convenient, but it’s also overwhelming. Clicking once on a file brings up its basic info, and options to show its contents or reveal it in the Finder. But that meager information takes up a whole row of its own, pushing other rows out of sight. And contrary to established Mac usability, clicking once on a folder’s name will reveal its contents, but double-clicking on its icon won’t. If your massive media library needs organization—or if you want something like Leopard’s QuickLook features without upgrading from Tiger—FileBrowse will serve you in style.